Directed by Luke Scott, Morgan has a fascinating premise. What are the ethical issues to manufacturing a human? Can created humans be manipulated by their creators? Can humans control their connection to something they create? Should they? 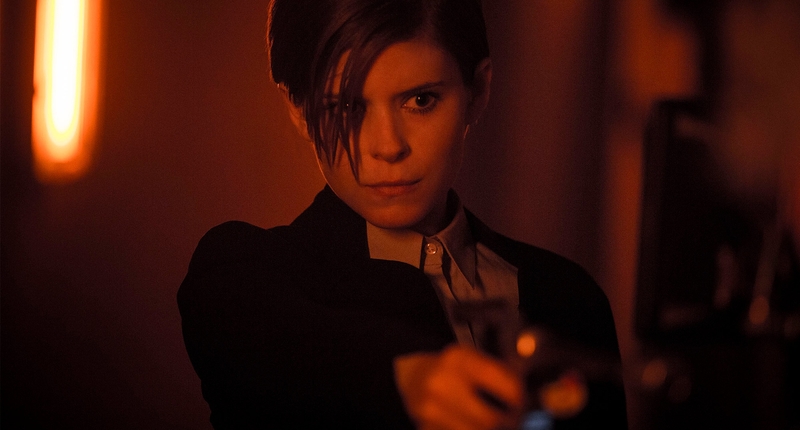 A tightly wound, stiff, quality control officer, Lee Weathers (Kate Mara), is on her way to a private work site to visit a lab created human- which may need to be terminated. The location is a dilapidated mansion filled with beautiful scientists and specialists played by Rose Leslie, Michael Yare, Toby Jones and others. The experiment is Morgan, and she has been placed in an isolation room after she brutally attacked her care-giver. The history of the facility and the people who inhabit it unfolds nicely, and then we meet Morgan. Anya Taylor-Joy is a revelation in the role of Morgan. She overshadows more experienced actors in their scenes together with her eerie sensibility. She has a strong natural screen presence and meters her performance beautifully. Morgan and Lee meeting adds tension to all at the facility which explodes when Dr. Alan Shapiro (Paul Giametti) arrives to give her a psychological rundown. The film propels and then sputters, propels and then sputters until its final grisly conclusion. Morgan is peppered with familiar faces. Oscar nominated Brian Cox, Jennifer Jason Leigh and Paul Giamettti give their all, but the clunky script and aggressively violent ending ultimately fail the film. Fans of Sci-fi may find enough meat to chew on in the stronger segments of the film but overall seeing Morgan is like eating a beautiful slice of cake. It looks good, it tastes alright but you feel bad after. Jennifer Haight gives an excellent review on the film Morgan!